How important is good customer support for your business? Is it a top priority for you, or happens to be just another facet of your day-to-day business operations? 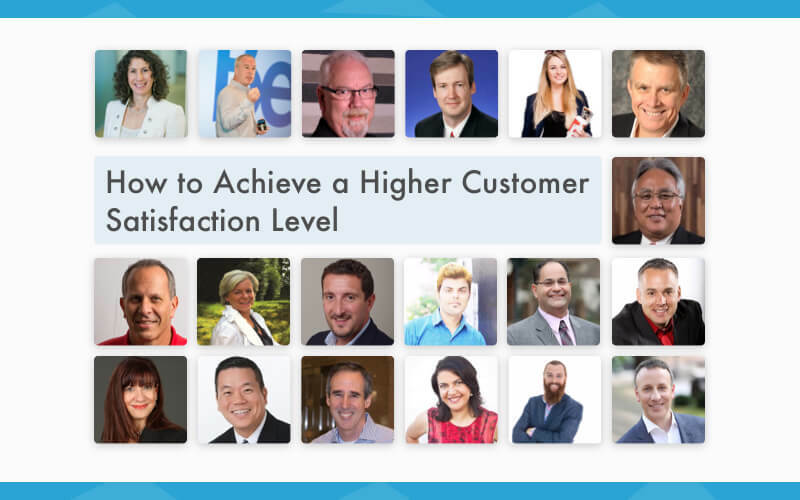 It may seem like a no-brainer, but a surprising number of businesses have failed to deliver a delightful customer support and ensure that their customers are happy. Statistics comply well to this outcome. According to American Express, 35% of customers get angry when speaking to customer support operator. While Harvard Business Review study shows, 84% of customers state that their expectations weren’t succeeded during their last conversation with the support team. You may ask to connect the dots here. Well, it is said that companies in the United States lose almost $1.6 trillion as a result of poor customer service. That means you too can join the list of such companies soon if you continue to provide the same customer service. Understand this, your customers are the most important part of your business, and they need to be provided with the best possible customer service when they need it. Good customer support is the key to have your customers coming back for more. Returning customers will also help your business improve overall. What’s more? Good customer support is not an option anymore. Modern consumers expect to receive the highest-quality service when engaging with a brand, and meeting their expectations should be one of your top priorities. Repeat sales are not a matter of chance. Customers choose to buy again from you, because of the relationship you have cultivated with them over time, through your customer service. Customers are most likely to share their experiences with a business, especially if the customer service has been exceptionally good, or bad. You are more likely to take advantage of customer evangelism. Making customer service an integral part of your work culture will also lead to a better employee morale. When it comes to poor customer service, most customers will point to receiving inaccurate, incomplete, or completely wrong information as the main reason for the poor experience. Irrespective of the channel they use to get in touch with you, your customers expect you to understand their query and provide them with a response that solves their problems. 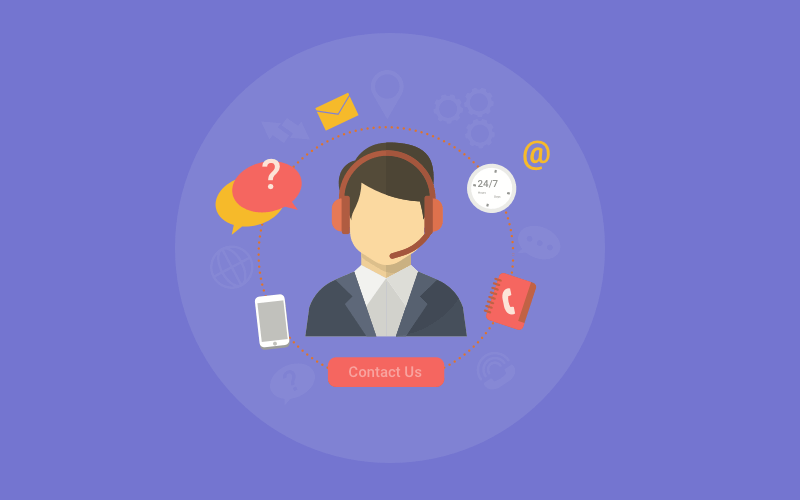 Unfortunately, contacting customer support can often be a frustrating experience for consumers as they start receiving a different answer every time, depending on who they speak to or the channel they use. It is important to note that most often this is not the fault of the customer service agent either – it may just happen that they do not have access to the latest information, or they may be relying on their own experience or personal knowledge. This can lead to a lot of confusion overall, and not to mention, damage the customer relationship and increase costs. This is where a knowledge base can help. Implementing a centralized knowledge base, and ensuring that it is available across all your customer service channels, is one of the best ways to avoid situations like. The knowledge base can power all self-serving systems across your company and will be available to all support agents, whether they are using the phone, email, social media or a live chat support. Providing your customers with a centralized web-based knowledge bank will ensure greater consistency within the customer service team, helping them answer more questions accurately in the very first instance. Support agents are more productive if they have answers at their fingertips, thereby improving the first contact resolution rates dramatically. And what’s even better a centralized repository of important information? Integrating this repository with other customer service channels. In this article, we will take a look at integrating live chat software with your knowledge base that will help provide a number of benefits to both your customers and your business. Let’s take a closer look at why it is important for the customer service that you offer. Let’s face it - no one likes to be put on hold. If you are making your customers wait forever before receiving their calls, they are likely to get tired of it and move on to some other place where they can find the support or the answers that they need. In this fast-paced modern age, consumers are getting more and more used to receiving help right when they need it. And this is exactly why a live chat software is so useful, as it enables real-time communication with a support agent. Customers also prefer to use live chat, as it allows them to communicate with a support desk without having to pause any other activities. Therefore, if you are looking to use live chat to its full potential, need to engage it with your knowledge base, as soon as possible. That way, your live chat support agents will have answers to the most common queries right at their fingertips, which they can provide to your customers in a flash. This ensures that every customer who engages with your brand, receives the right answers quickly, resulting in much more satisfied and loyal customers. Integrating live chat with a knowledge base not only helps provide customers with instant answers but also with consistent answers. This helps contribute positively to the overall customer experience with your brand. This ensures that whether your customers choose to engage with you via live chat, or decide to call-in via phone, they always get the same consistent answers – and by that extension, the same high-quality support. Integrating your live chat with a knowledge base helps improve your chat operator’s productivity significantly. The obvious benefit is that the operators do not have to answer the same question over and over again – all they need to do is point the customer to the appropriate help article within the knowledge base. Chat support agents also spend a significant amount of time at work searching for information that they need in cluttered files, unorganized knowledge repositories and asking for help from colleagues. A well-documented and organized knowledge base takes all of the knowledge living in those spaces and makes it accessible and searchable to all support agents. No more desperate runs trying to chase down an expert as they try to answer customer queries. A powerful knowledge repository can reclaim up to a full workday for all of your employees. When you implement an online self-service knowledge base successfully, many fringe benefits follow. Integrating live chat with knowledge base not only saves customer support agents plenty of time but also helps businesses save a lot of money. It’s a known fact that live chat support is way more cost-effective than phone support. With the added advantage of a knowledge base, live chat operators are able to resolve queries a lot quicker and hence able to resolve more tickets in a smaller amount of time. This helps in greatly reducing costs. Another way a live chat and knowledge base integration helps reduce costs is through decreased employee training costs. The service staff can become more skilled more quickly through the use of a central knowledge base that can serve as a self-learning tool for your chat support agents reducing the need to employ personnel or expensive training programs to get them up to speed. Chat operators with better skills are more likely to resolve complex issues faster. As first-contact resolution (FCR) rate improves, so does employee satisfaction. To only reach your target audience can turn out to be a tough task. But not when you have both live chat and knowledge base placed together at your website. The integration of the two helps you avoid spam visitors and reach your target audience easily. Let’s see how. The moment a visitor clicks on the chat icon, it will see some of the frequently asked questions linked to relevant knowledge base pages. In case, these questions do not answer their query related to the product or service, they can click on start a chat button. At this stage, spam visitors will leave the website before the chat gets started. That’s because they will be asked for details such as name, number and email id. Those interested in moving ahead with the chat will add in their details and start a conversation with the support operator. Outcome? Your organization gets to communicate directly with your target audience and convert them into buyers efficiently. Such a process also helps your customer support operators save time and answer queries that are relevant to your organization’s growth. 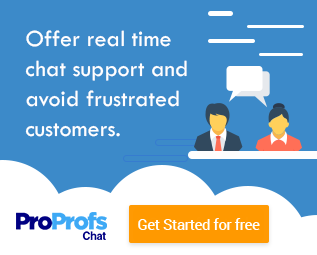 Is live chat support already a part of your overall customer arsenal? And if so, does it integrate with a knowledge base software? 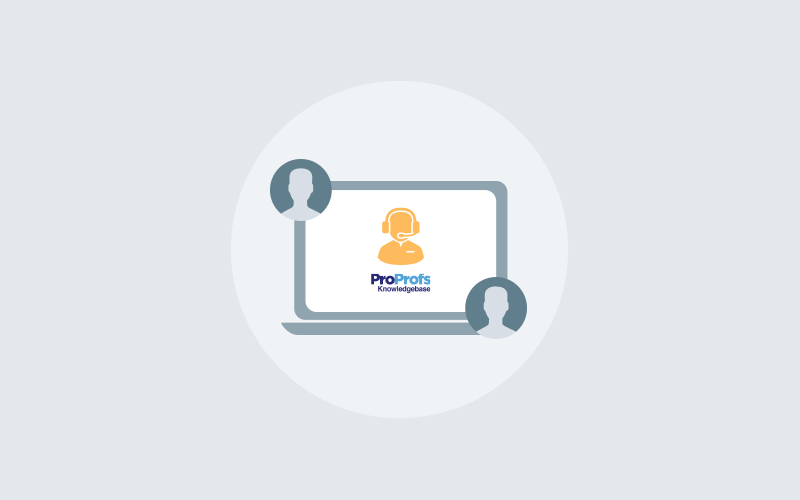 If not, you should consider checking out ProProfs Chat that provides a robust integration with the world’s leading knowledge management tool – The ProProfs Knowledge Base. The amalgamation of the two is definitely the best recipe for customer support.